The Corvette now had the benefit of dual air bags and Corvette owners and enthusiasts now have the benefit of a new "home": the National Corvette Museum. The NCM opened its doors for the first time on Labor Day weekend with an attendance of more than 4,000 Corvette owners who traveled across the United States in caravans. Gallery: An online gallery of high quality 1994 Corvette pictures. Identification: VIN and engine identification numbers. Knowledgebase: A collection of service bulletins and related technical information on 1984 to 1996 Corvettes. Owner Manual: This is a 274 page, 15.0MB PDF document of the 1994 Corvette owner manual. Production: Options and production numbers for the 1994 Corvette. Specifications: General specifications including paint codes for the 1994 Corvette. 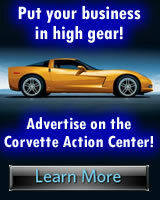 Tech Article: C4/C5 Corvette EMT Run-Flat Tire Servicing by Hunter Engineering. 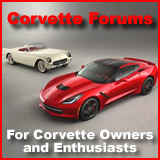 Videos - C4 Corvettes: C4 Corvette videos provided by our sister site - VetteTube.com. ZR-1 Center: 1990 - 1995 ZR-1 Corvette Center.